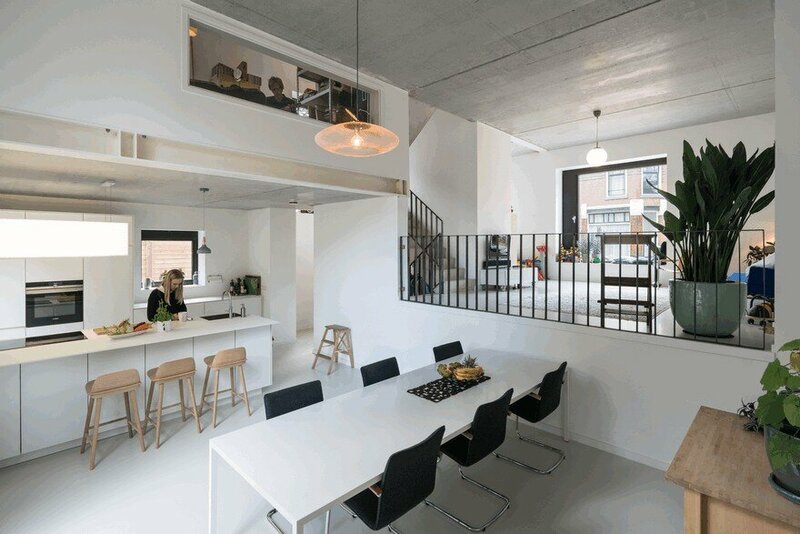 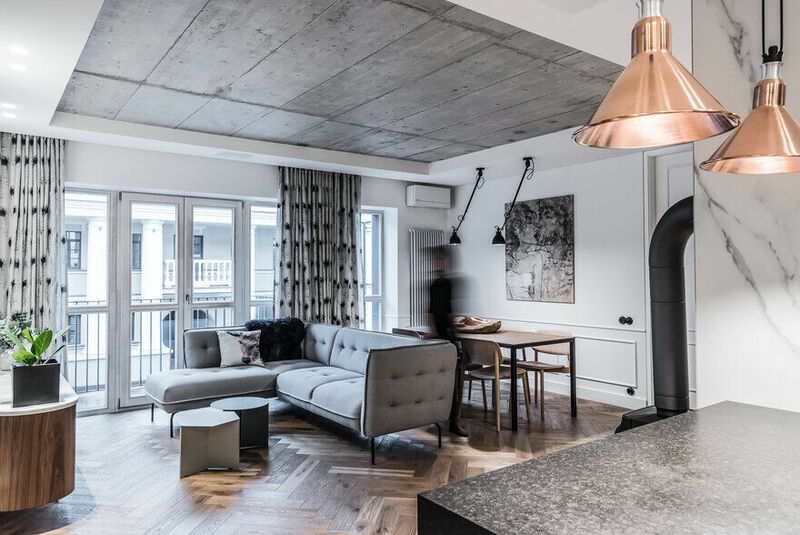 The modern loft apartment interior was inspired by the architecture of the surrounding old town. 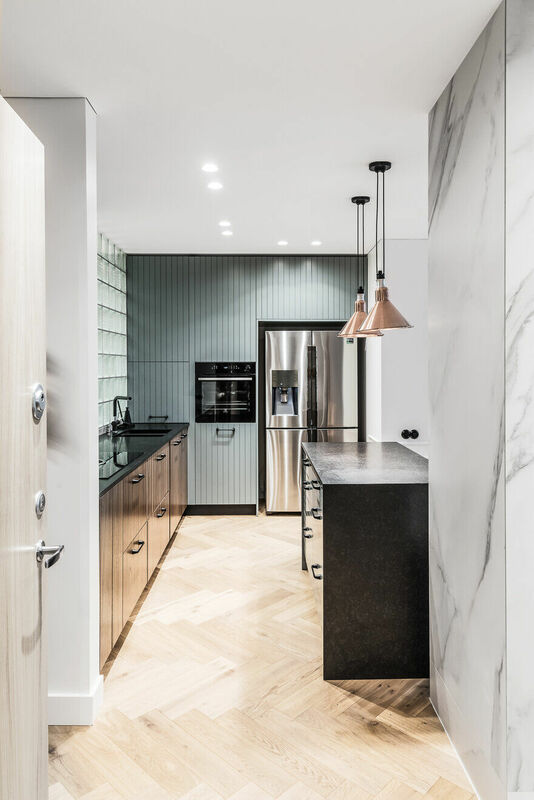 The key task and challenge of the architect was to create the feeling of space, which has been achieved by joining the kitchen with the living room, installing the windows over the entire height of the wall and by using such elements as light and pastel surface colours and mirrors. 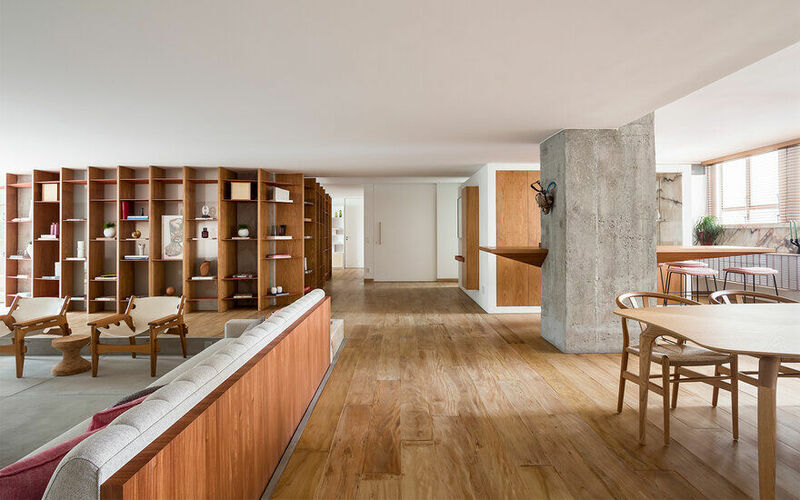 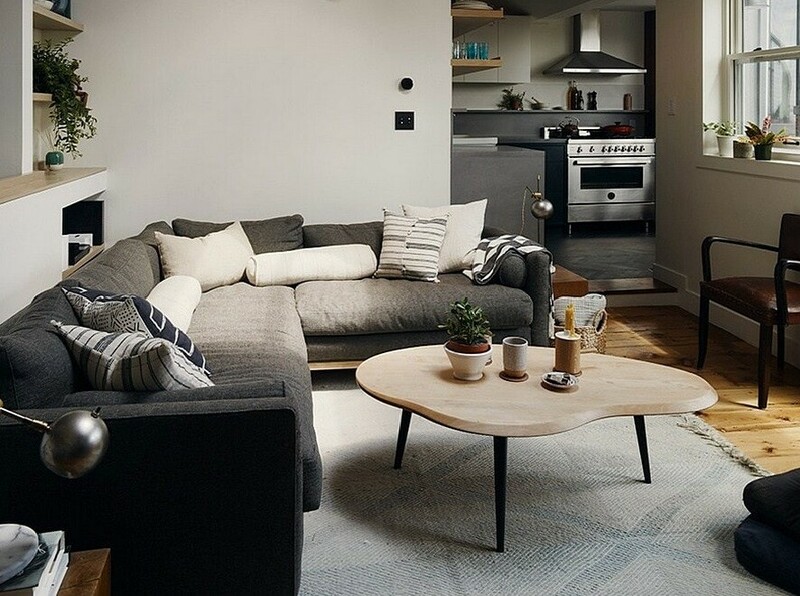 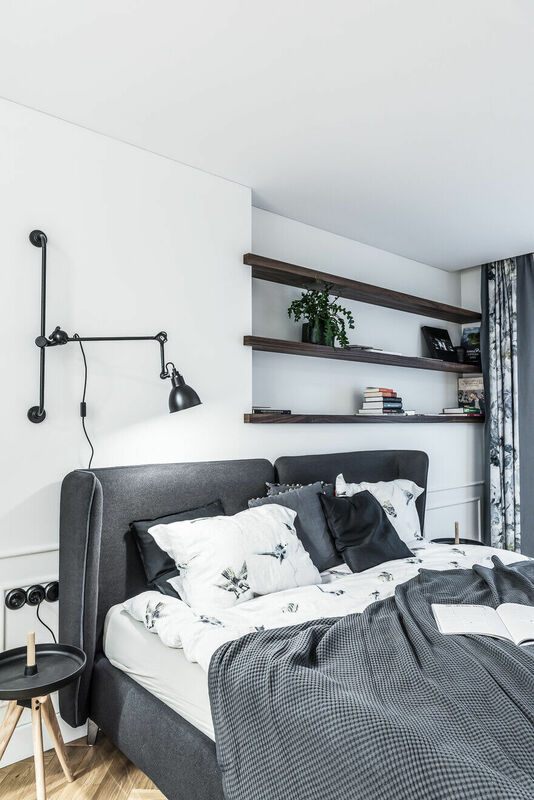 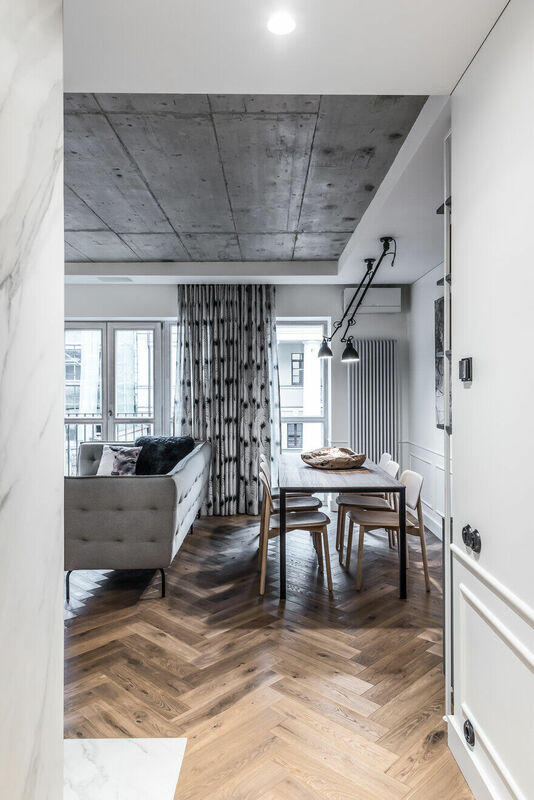 The apartment is featuring the blend of different materials: concrete and wood, glass and metal, and modern furniture and retro style items. 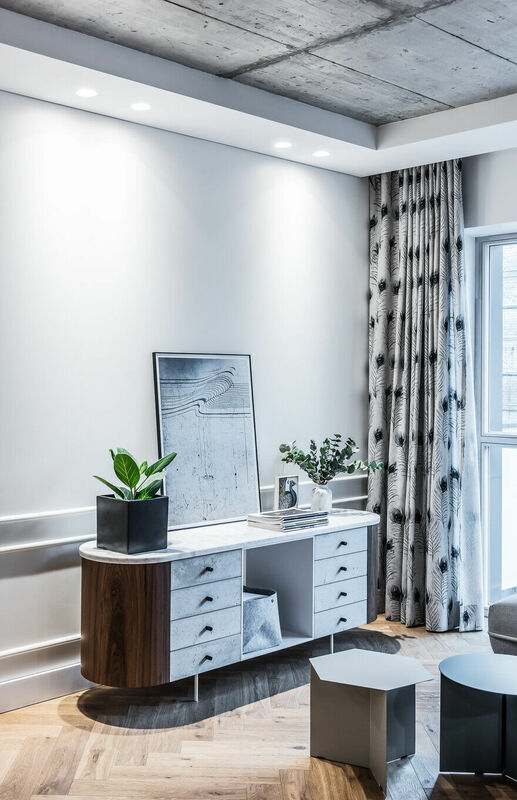 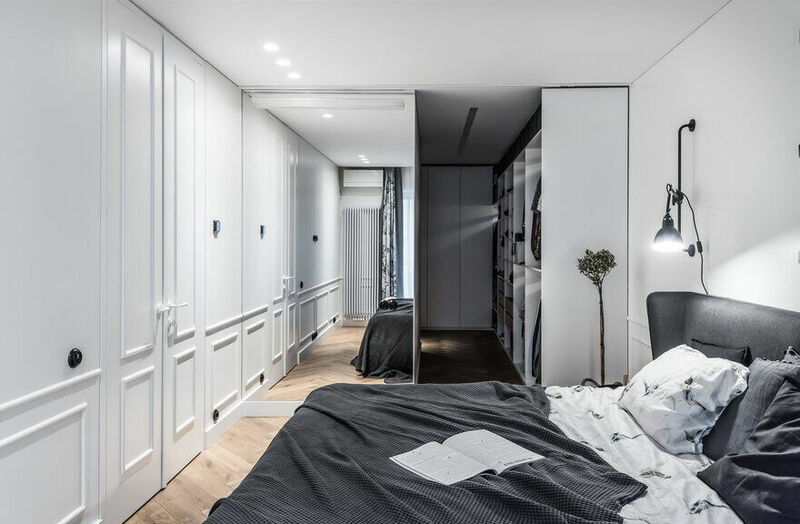 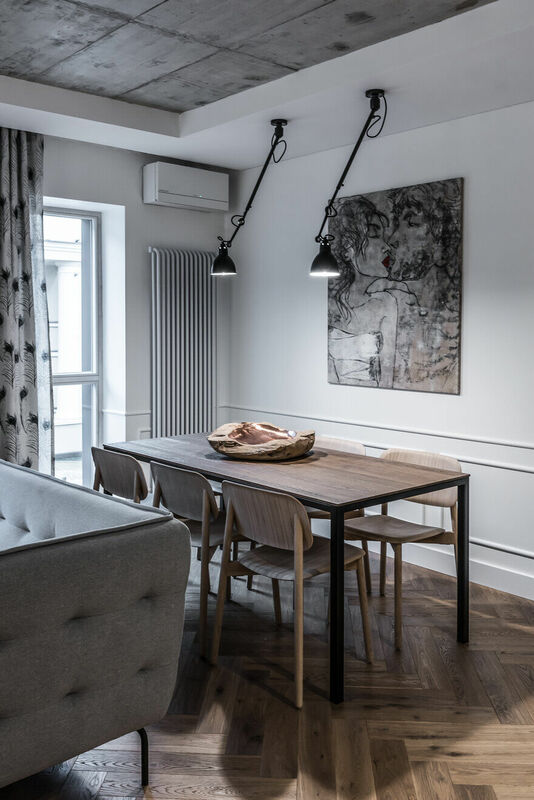 This combination of materials and styles was aimed at granting exclusivity to this apartment, but as the same time the feeling of familiarity, nostalgia and charm. 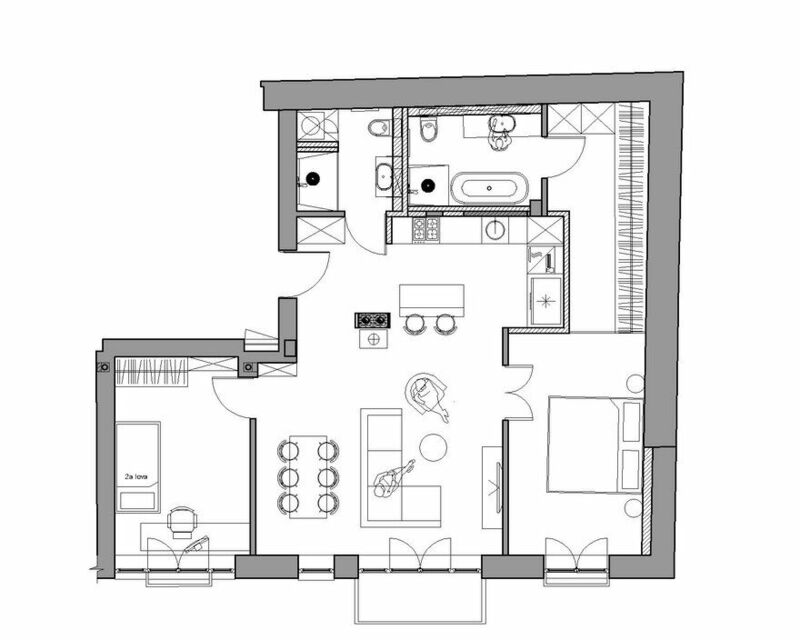 In this 92 sq.m. 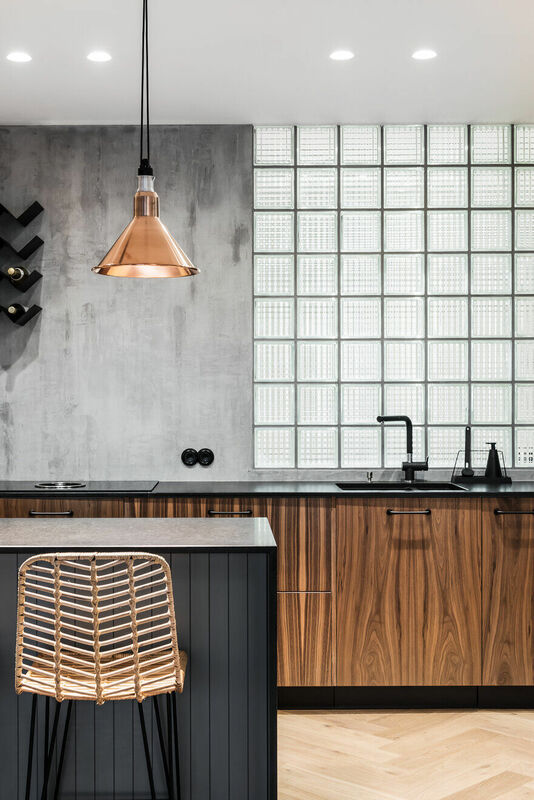 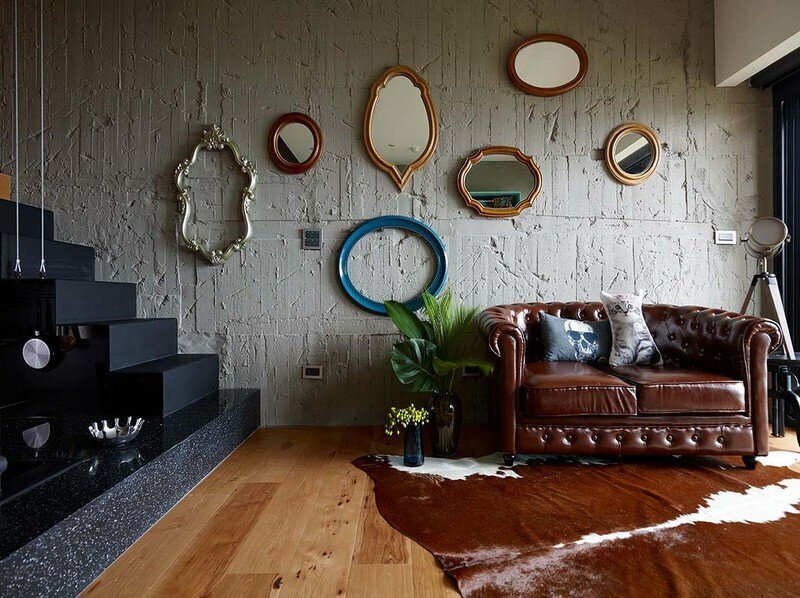 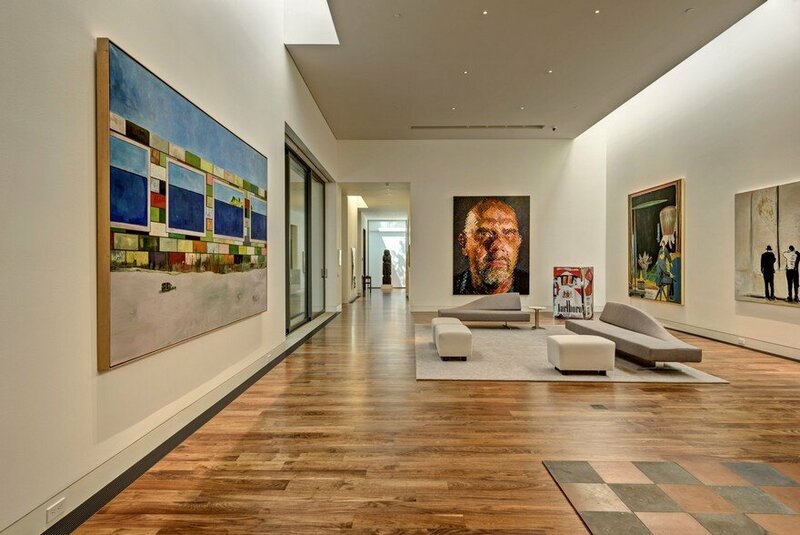 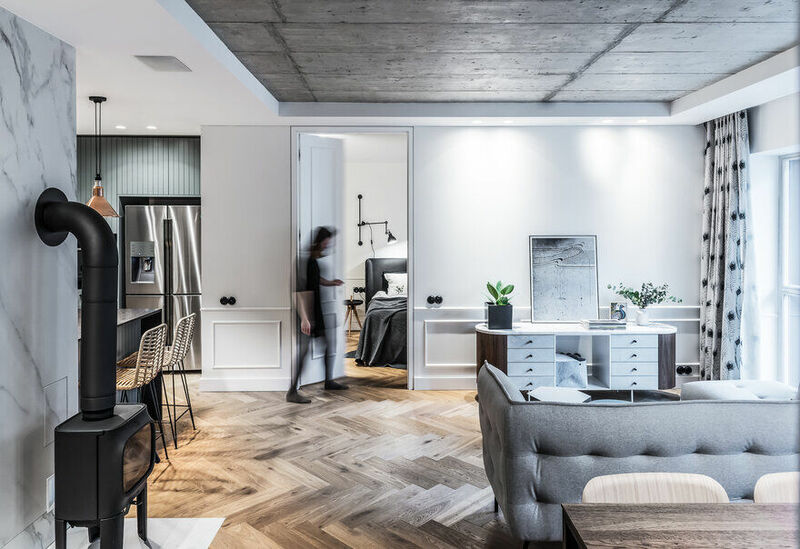 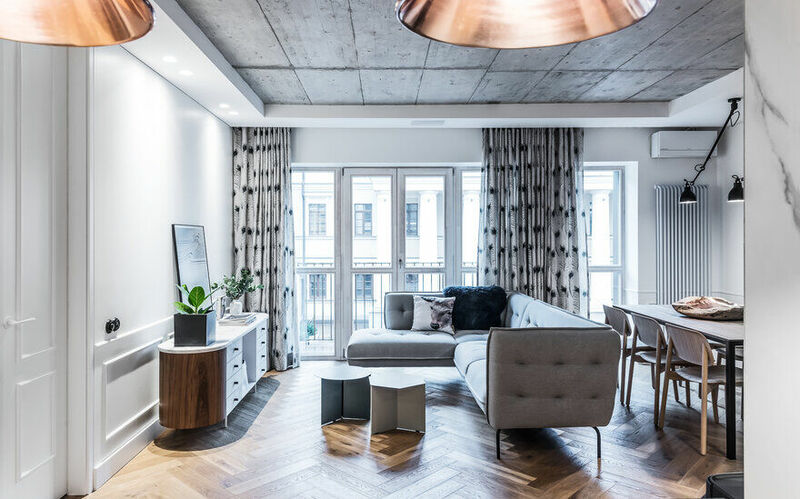 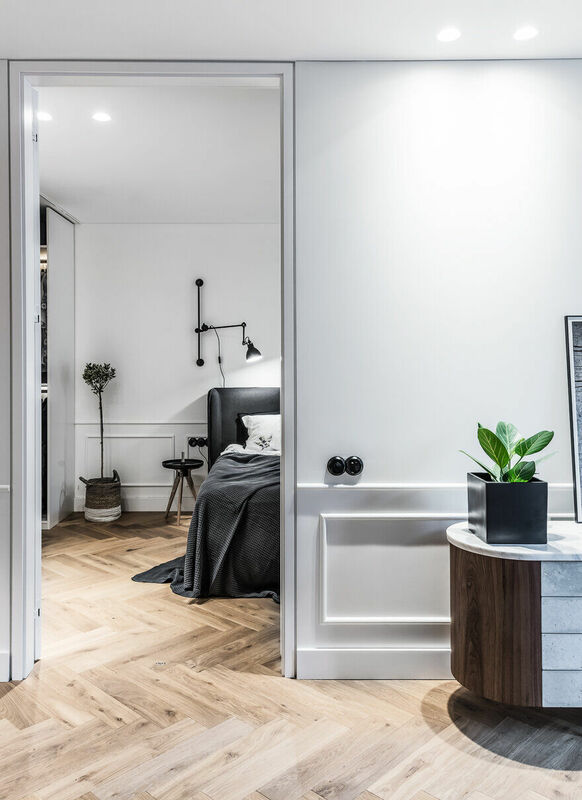 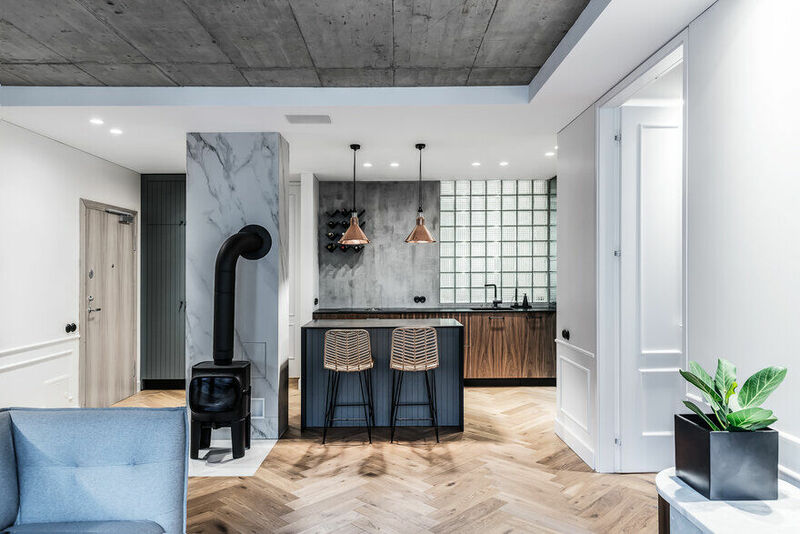 apartment, BONUM WOOD has installed the friezes of own manufacture, made of light-smoked, Rustic grade oak wood and arranged in a 90-degree herringbone pattern. 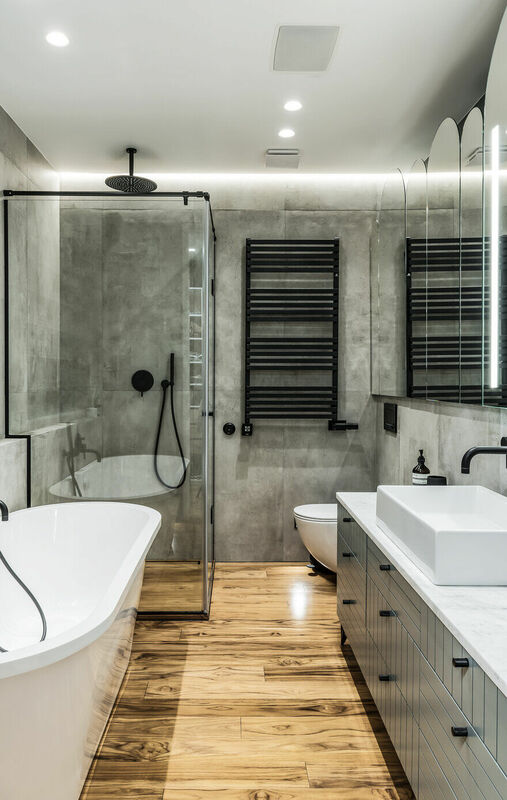 We installed the moisture resistant plantation teak planks in the bathroom.